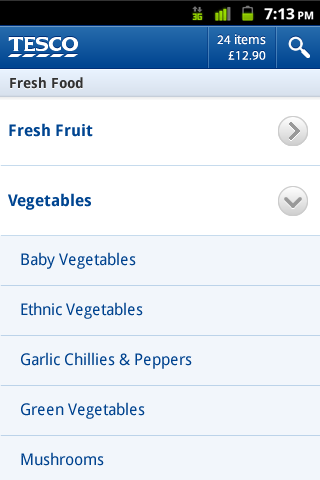 We've been evaluating a mobile application we set up for those participating in the Tesco Charity Triathlon last month. The app was created by mobile specialists mBlox so that triathletes could enjoy personal updates as the triathlon deadline approached. In this article, Ben Martin (who took part in the triathlon itself and raised £370 in the process!) shares his experiences with how the app - and its underlying content delivery system - worked for our event. 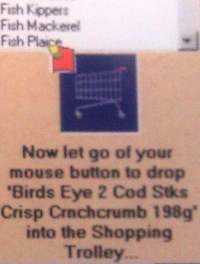 Last month we trialled a pre-release beta technology from mBlox in an exclusive Tesco Charity Triathlon 2011 application. The application provided a method of keeping participants posted with the latest information about the event. For this year’s Tesco Charity Triathlon we thought it would be great if the participants who attended the event could receive automatic updates about what was going on before, during and after the day. 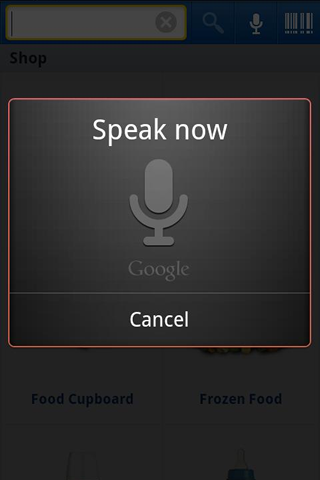 We worked closely with mBlox to create a mobile application for Android devices that could do just that. The finished application had an HTML5 dashboard widget for uploading content (images, blog/Twitter posts, plain text and even video) that could then be sent to everyone who had the application installed on their Android device. We could even restrict the distribution to a defined location of our choice. The widget also provided analytical data reports of users who had downloaded the content and time they had spent viewing. 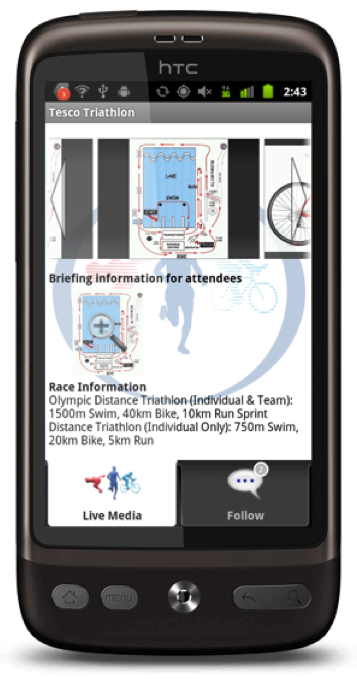 Before the Triathlon we used the app to send out useful information such as charity details, training tips/advice, blog entries from our leadership team, race numbers and race day details. During the event we published images of participants taking place in each of the activities and contestants could send images to us, which we could upload. After the day we sent out info on the winners, final messages from sponsors and info on the total raised for charity (impressively it was over £200,000!!). The purpose of the trial was not only to keep participants up to date on the event but also so we could investigate the process of sending and receiving relevant information, and the value this would provide to the end user and to Tesco. We were also very keen to find out how valuable the analytical data was and how it could be used to improve future communications. Sending and receiving information to mobile phones in a timely manner using technology is a research topic that we wanted to get some experience. Once we have completed the research we can think about how we might use this to incorporate this functionality into our existing customer applications or use it for our own internal communication methods. 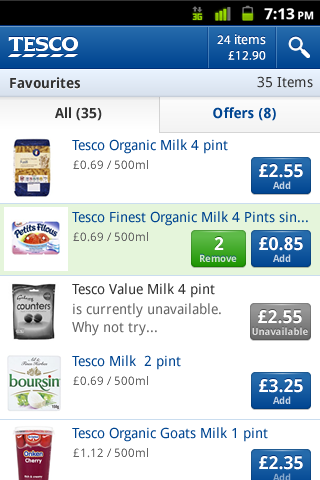 An idea that springs to mind is an app that can send delivery details to Tesco.com van drivers and we would receive confirmation on them receiving the info. The application proved to send relavant information very quickly to the end users mobile device (instantly in fact) and was very reliable. It was really useful to have data that confirmed delivery of the content and even detailed when it had been read. Potentially this information could allow us to become more effective at our communication. Another valuable learning from the trial was the speed in which mBlox helped us to deliver such a technology to market. Without their help we would not have been able to achieve this on such tight timescales due to our other commitments – thank you mBlox! Thanks to all those who took part in the technology trial, we will continue to investigate its value and have passed on our learnings to our Mobile Development team. It's at that time when I am still in bed with the Today programme on BBC Radio 4 sounding in the background and the smell of freshly brewed coffee indicating its presence on the bed-side table. However the start of the 7am news usually causes me to sit up and reach for my smart phone, which has been charging-up nicely through the night. So what do I see first? 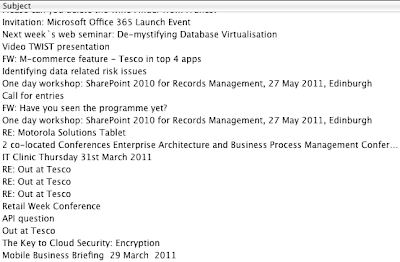 A selection of a few unread email messages, Facebook updates and Twitter tweets that came in just before 7am. A quick glimpse of each (no more than 2 minutes in total) is all takes before getting up. In that time those snippets of incoming information have entered my waking brain which, absent of anything else to start the day, has entered my conscious thinking. This morning - at 7am for 2 minutes - I ingested snippets of breaking tech news from Computing, New Media Age and Tech Crunch, contemplated today's London Groupon voucher, look through the Google News10 email with search results for 'Tesco', and read a message from those members of the R&D team working 5 hours ahead in Bangalore. These short snippets of tweets, updates and email headlines continue to swirl through my mind as I stand there in the shower / search for clothes / sip my coffee. I ponder what I've learned - and I keep thinking of it randomly throughout the day. Basically this information has, whether I wanted it to or not, set my day's agenda! I actually became conscious of the 'power' of 7am a few weeks ago when I was on holiday. Bizarrely I actually missed it! The 7am info-buzz connected me back to the world after a night of sleep. Without it my mind seemed to feel it was missing something. I raised my awareness from 'conscious' to 'wildly aware' when I attended a Microsoft Creative Technology showcase last week. One of the presenters has a company that runs social media on behalf of several celebrities and sports-people. He spoke of the '7am broadcast' that occurs 24 times a day, time-zone by time-zone around the world. Twitter Followers and Facebook 'Like' Fans would receive their favourite celebrity's tweet at 7am. Feedback had found that this was the most effective time for the celebrity or brand to be remembered for the rest of the day. The effectiveness of Social Media continues to fascinate me - and now it has a 'power time' of 7am. These days it seems that millions of people are experiencing that '7am' moment as they wake and pick up their smart-phone left charging by the bedside. If they follow you - and you talk to them at 7am - they are likely to remember you all day. 7am is, quite literally, Social Media'a finest hour. In-store 'Sat-nav' up and working now in a Tesco branch - come and try it! We now have a comprehensive 'sat-nav' system working INSIDE one of our Tesco stores! The new service is able to show you where all your wanted products are on a store map, show you where you are on that map, and guide you round the store to pick up your products using the shortest route. The prototype system is installed at the Tesco Extra, Romford (Gallows Corner) in north-east London, and we need to recruit a large control group of customers (including staff) who would like to try it out on their Android smart-phones. Install our prototype app on your Android smart phone (it's not in the Android Marketplace, you'll be sent a link to download it directly and you'll need to change a setting temporarily to allow non-marketplace apps on your phone to install it). 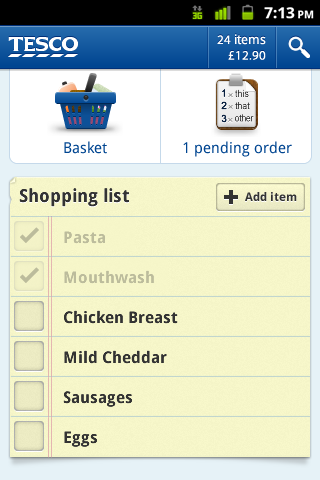 Build up a shopping list on it (just like you can with Tesco Finder). Send that shopping list to another customer with the same app on their phone so they can go shopping on your behalf (so I'm happy for members of a household to be in the control group). Head to Tesco Extra Romford (click for map link). Start the app as you walk through the front door. See a comprehensive store map with all the items in the shopping laid out on it. Press a button and the app will find the shortest distance between the products and create a route for you. Show you where you are on the map with a blue dot with an accuracy of within 3 metres. Walk the store following the route. The blue dot will move around the map as you move around. If you want to find any product 'adhoc', we'll find it in the store and show you where it is on the map. You accept the system, being R&D, may just not work from time to time. ...then I would love to hear from you. To join the control group, write to our R&D project manager Ben Martin at ben.martin@techfortesco.com with subject 'SATNAV APP'. Ben (@realbenm) has been running this exciting project from the start, so he'll look forward to hearing from you. Indeed you'll receive further instructions in a few days after contacting us. In the message please indicate what make and model of Android handset you have, and the version of Android it is running. The service is only available publicly to Android phone owners at this time, because we don't want the app in it's current state going into the public app stores. Only Android easily offers the ability to install apps from 'Unknown Sources'. Please note that we won't be rolling this out to customers in general for a while because we have to think about how useful it's going to be. The system involves a lot of infrastructure installation in the stores so we need to get all kinds of people involved in thinking about the customer experience. It would be awful if we did all this work but few customers really used it. We must also see how we would put the technology into our production applications and make it really easy for everyone to use. There's also the possibility that the infrastructure is not reliable right now. This project is in R&D for a good reason, and we are allowed to prove the viability - or otherwise - of anything we might wish to offer our customers. Sometimes R&D is close to production, and at other times it is far away. Apologies to other companies offering this service who contacted me after my original blog post that kicked off this project. We've had to operate under strict NDA with our chosen provider and not even intimate there was a such as system under construction. Until now! Sometimes it's worth taking the team and escaping from the office for some fresh air and fresh thinking, specially when some of the extended team are joining us for the week having escaped from Tesco's offices in Bangalore, India. The thinking doesn't get any fresher than when it takes place at TechHub London, the community office space reflecting the vibrancy and global outlook of the technology scene right on the 'silicon roundabout' at City Road/Old Street in central London. We spent the day looking through our R&D backlog and ways of working to plan our work for the months ahead. The air doesn't get any fresher (in London) than when some of us finished the day by travelling on the London Eye (Millennium Wheel). In the photo we have, from left to right: Prasad, myself, Ben, Murralee and Sangeetha. Yes yes we're back in the office working hard now...! Forgive me for my occasional digression from tech, but occasionally such interesting events happen that I sometimes decide to cover them here. Regular readers will know that I am a member of Tesco Diversity Council which ensures that 'Everyone is welcome at Tesco'. I am also a committee member for our lesbian, gay, bissexual and transgender staff (LGBT) support network Out at Tesco. Tesco's new CEO, Philip Clarke, has written on his internal blog about Out at Tesco. 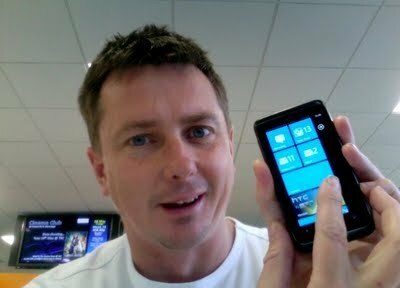 Our network's sponsor, Dan Gilsenan, has asked me to recreate Philip's blog article here and I am very happy to do so. Tesco is sponsoring the Family Area at London's Gay Pride festival on Saturday 2nd July 2011. I'll be there helping out with my fellow committee members so come over and say hello! In a meeting earlier today with the senior sponsor, Dan Gilsenan, I was reminded about how challenging life can be for our colleagues in the LGBT community. The work of the Out at Tesco network has been transformational for us and we need to keep on supporting it. Dan has decided to leave to be head of M and A at Intercontinental and will be sadly missed by the network, amongst others. We need a replacement senior mentor. If anyone out there wants to act as the mentor please let Andy Higginson or Therese Procter know. The role is to act as the bridge between the network and my senior team. I am really pleased that the company has sponsored the Family Area at this year's London Pride celebration. I hope you all have a great day. Another day in the office for the R&D and Mobile teams! A photographer from The Grocer magazine was in our office during last week taking pics as part of a profile interview of Tesco.com R&D, and I insisted that the key players who had helped shape R&D and mobile join me in a group picture. The photographer's remit was to be artistic and not take a boring corporate picture, so I took everyone to our lab where the tech 'happens'. 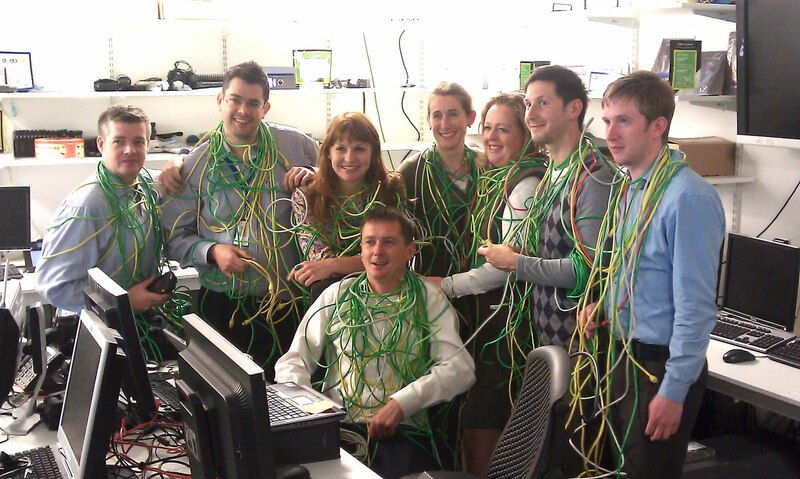 The photographer immediately spotted boxes of ethernet cable and the next we know we were draping ourselves in this season's network colours! Rebecca Pate, Web Development Manager and Mobile Product Owner (@rpatey). Annabel Thorburn, Senior Marketing Manager with accountability for Mobile. Hilda Jenkins, IT Project Manager for Mobile. Jerome Ribot, Founder and Creative Lead of Ribot, our mobile design partner (@ribotminimus). 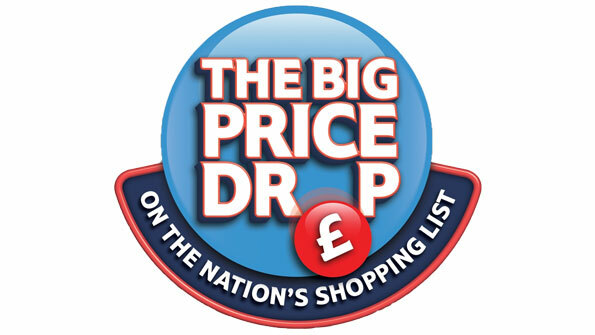 So watch out for a pic from the many that photographer took appearing in The Grocer soon! Wow! Nominated for Greatest Contribution to New Media! New Media Age have just nominated me, along with five other worthy individuals, for their "Greatest Individual Contribution to New Media" category at this year’s NMA Effectiveness Awards 2011. 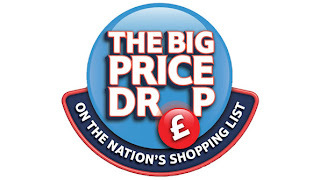 According to NMA's announcement, "Nick Lansley, head of research and development on Tesco.com, is nominated for helping to push mobile to the core of the retail giant’s offering". Now I must point out to you - as I have pointed out to NMA - that a core group of people have walked along besides - and in front of - me in "helping to push mobile". However NMA pointed out that only one name could go in for each nomination, and that the name concerned represented that group in public as far as they are concerned. So, dear reader, if you think that our merry group of mobile creatives here at Tesco.com deserve recognition fot all the hard work making mobile 'real' for customers, then what you need to do is text "NMA2" to 82100 before 5.30pm on 6 May. Messages will be charged at your standard network tariff. What's that? You want to see all the nominees before you make your decision? Well of course: Click this link and you can see the shortlist, along with the "NMA number" to text if you prefer them...! By the way don't be put off by the rather smug look on my face in the photo shown on that page - that was taken for a completely different reason - instead imagine me with a surprised/delighted look instead! Best of luck to all nominees - and, on behalf of our merry mobile team at Tesco.com, thank you NMA for nominating us for the 'greatest contribution' category. That is praise in itself. 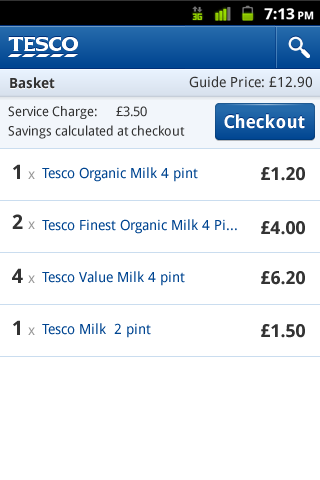 If you love what we, at Tesco.com, have created with our mobile apps (and think we could 'do better' of course! ), it's time you came and joined the team at Tesco.com HQ in Welwyn Garden City. Yes we have an amazing vacancy for a 'Mobile Product Owner' who will help shape our mobile/device offerings going forwards. It's an amazing chance to be in at the heart of what we do at Tesco.com. 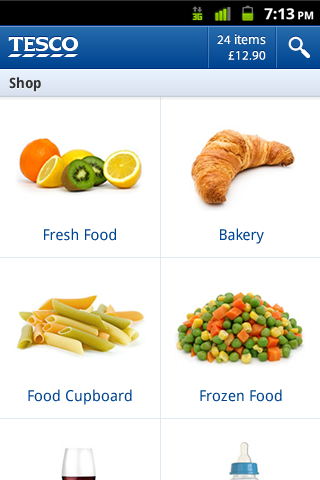 To quote the description, your job will be "To create and manage the mobile backlogs for Android Groceries app, iPhone Groceries app, iPad Recipes app and future applications. Work with the IT development teams to plan and implement releases across the products. Support the Product Owner and contribute to the wider mobile project stream.". Is that you? Oh that's fantastic - click this link to read more about the role - and apply. If our interviewing team think you have what it takes to enable us to be first for customers in the mobile space, I'll see you in our state-of-the-art Tesco.com HQ building in a few weeks time. Tesco has just taken a majority stake in local video-on-demand service BlinkBox with an 80% stake in that business. So what's the deal? As a customer, traditionally you buy a DVD and the reality is that you have really only bought the right to watch the movie on that DVD. If it gets damaged or lost, then no more viewing of that movie is available. The right to watch the movie is tied to the continued good condition of the medium and format on which it is embedded. Another example: the loss and non-replacement of my VHS machine means that I have lost the ability to play my old and substantial VHS movie collection. Using this service Tesco can “link together” the physical purchase of films and entertainment with digital technology to create a multichannel entertainment offer. That means that when you buy a movie, you buy the right to watch it in any format and device covered by Blinkbox technology, not just on the physical DVD. In future there might be a lo-res version for your mobile phone, standard definition for an average TV, and an HD version for your high-bandwidth broadband and HD TV. I should point out that this is a long-term aim. The team set up to run the service will need to walk before they can run - and at each step offer a really good service for customers. Nobody at Tesco is going to rush into this without geting every stage of this journey working perfectly. Deep breaths, dear reader, this journey to Utopia will take time! The Blinkbox technology exists today on Sony PlayStation/3 consoles (I use mine far more for watching content than playing games) and also on Samsung's Internet@TV service which is available as soon as you plug in an ethernet cable or wifi dongle into the back of the TV. I've been a 'technical consult' on this project working with the business development team, which looked into the possibility of on-demand media for customers last year as a way of augmenting DVD sales. That's the real reason I ended up at CES Las Vegas last year. 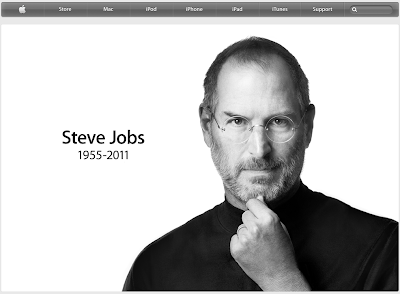 My role was to see how we could make this work technically from end-to-end. Buying into Blinkbox with their massive media library of more than 9,000 movies and proven delivery technology makes this somewhat easier. So in future you buy the right to watch the movie, and no longer get tied to the format or medium on which that movie gets to your screen. Exciting stuff! Click on any image in this article for a much bigger version and, where applicable, read some of the detailed text on the boards shown in the photo. You can re-use any of these pictures without permission as long as you credit them to my name and this blog. 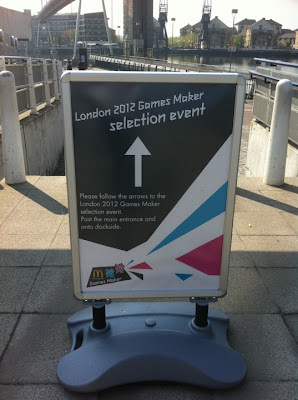 Yesterday (Sunday 17 April) I arrived to attend my scheduled interview to become one of the many thousands of Games Makers who will turn the London 2012 Olympics "from a good Games to a great Games" according to Lord (Sebastian) Coe. The interview day had a technology twist to it, as everyone who attended yesterday had been invited because of IT skills and experience. So, at 11:30am I arrived at the LOCOG's special interviewing centre set up in the ExCel conference center in east London's Victoria Dock. I arrived at the 'Check-in' where my name was checked on a list, then offered a blue wristband, thereby joining the 'blue interviewees' team. 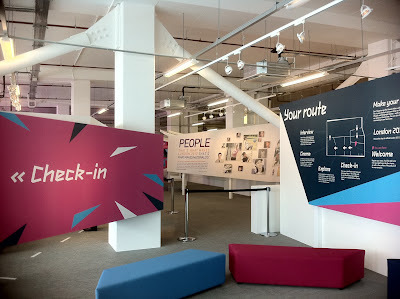 We then sat on some London 2012 Olympic logo-shaped couches while eating handfuls of Cadbury's chocolate from nearby bowls, and awaited registration. A very jolly lady (considering she was inside working on a sunny Sunday morning) looked at my registered identity, checked my driving licence and passport to confirm I was who I said I was, then took a photo of me using a webcam. She then told me to "enjoy the experience!". The "experience" consisted of a 20 minute wait for the 'cinema' as indicated on a countdown screen, and the use of that time to talk to a Games Maker Technical Expert who described the various technical roles available to us. The 20-odd roles were mostly about entering data or maintaining data flows between buildings and the various Olympic teams. For example I could be watching a tennis match and press the appropriate button whenever an event took place, such as "deuce". Yes, a button marked "deuce" would have to be pressed there and then, thus building up stats about the game. I could do that! I could also certainly do the "print run" which consisted of anything from running with printed results from one building / team / organisation to another, through to keeping the printers going. Maybe I would have to look after laser printers 20-39 in a series, keep them filled with A4, tend to paper jams and refill them with replacement ink cartridges as needed. I did wonder what paper was doing in the electronic age but it was pointed out that it was a backup to the electronic means in case electronic communications stuttered or broke for a while. Made sense I suppose! 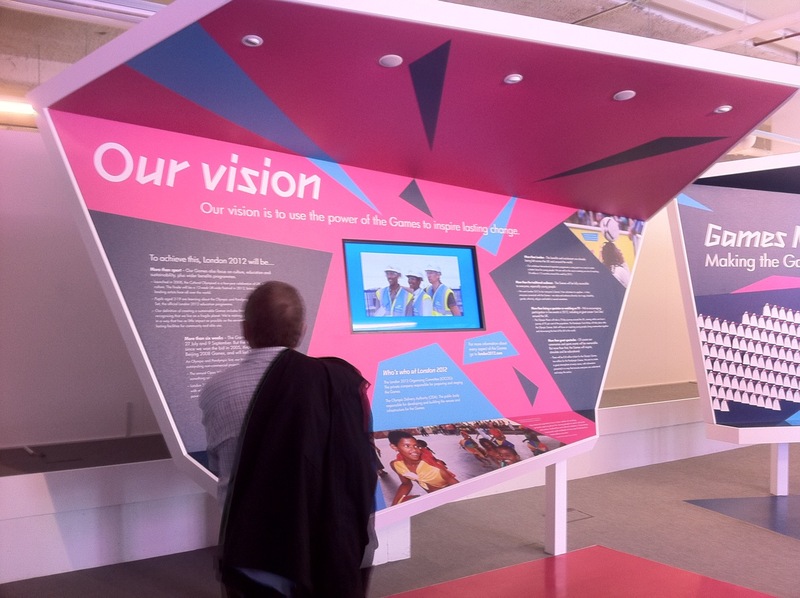 Image: "Our vision" presentation unit with messages and a video showing just how nice hosting the Olympic Games is going to be for everyone. Surrounding us in our wait for the cinema were presentation units showing a mix of video, audio and text about "our vision" and "our heritage" which contained inspirational messages about the games and the roles of Games Makers turning good into Great! 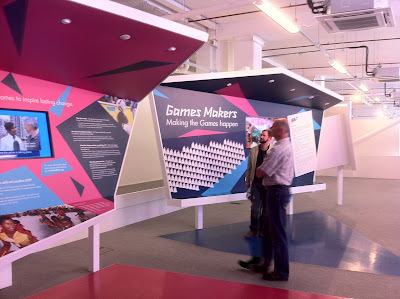 Image: The Games Maker presentation unit, inviting attendees to write an inspirational message about what they hoped to get out of being a Games Maker. 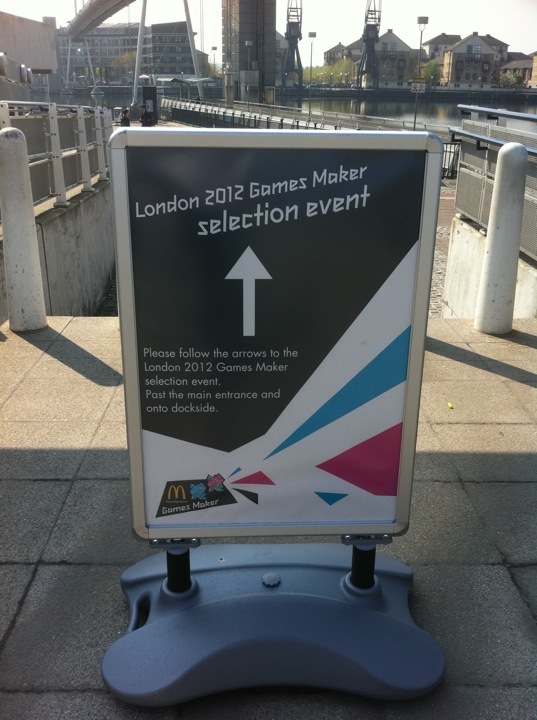 One unit invited attendees to write some words about why they had chosen to apply to be a Games Maker. Most were inspired by the games. I wrote that I wanted to give back something to London, my favourite world city (which really is true). Finally the 20 minutes were up, and we entered the cinema, consisting of a 60" plasma screen showing video from Lord Coe about how excited he was that we had applied, and an amusing message from Eddie Izzard about how we had to be "ourselves" in the interview that was to follow. There was a slightly bizarre promotional message from sponsor Cadbury's about how they were aiming to turn half of the people of Britain into "spots" and the other half into "stripes", then get spots and stripes to compete with each other at various fun games throughout the country. The on-screen presenter, purple-clothed in Cadbury's brand colour, then tried to make us play a game of scissors-paper-stone with him! We just sat there and looked at him on the screen, then each other, and just smiled at the bizarreness of at all without moving...! 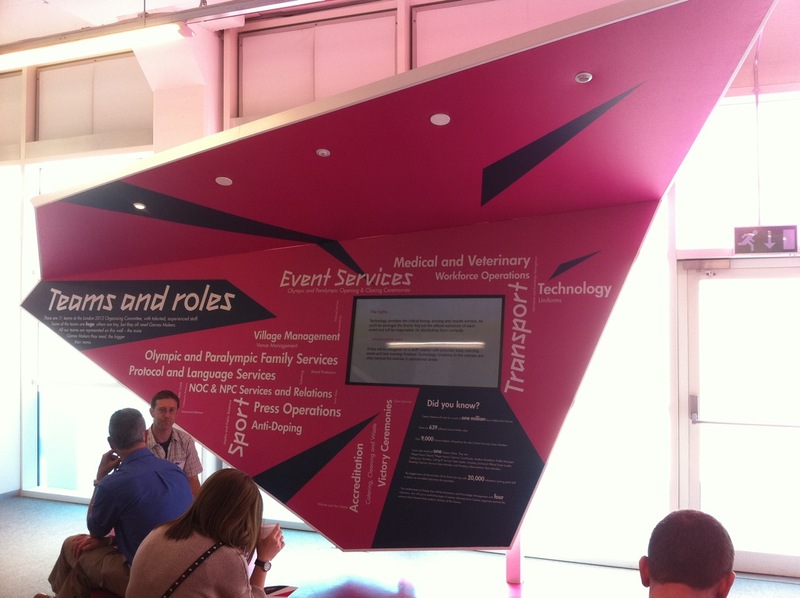 Lord Coe came back on to wish us luck, the screen went blank, and we were ushered to one of about 40 interviewing cubicles, all made from 'walls' of triangles built at the slightly bizarre angles that make up the London 2010 logo. I digress. The reality was I was asked a series of fairly standard "We need skill X, give an example of demonstrating that skill recently in your work or personal life" questions. So, "We need someone who can keep their head under pressure, give an example of keeping yours under pressure at work". Whereupon I pointed out that I still had my head, as could be plainly seen.... (no I didn't but you get the point!). The 30 minutes passed quickly and pleasantly, I was thanked very much and it was hoped I had enjoyed the experience. I was passed along a corridor to write something lovely on a white board. No doubt my interviewer went off to punch the soft room wall for a bit. I'll be told if I have made it through to the next stage - working as part of a "shadow" team at a real championships alongside the real admin team there - by the end of 2011. Actually I really can't wait! 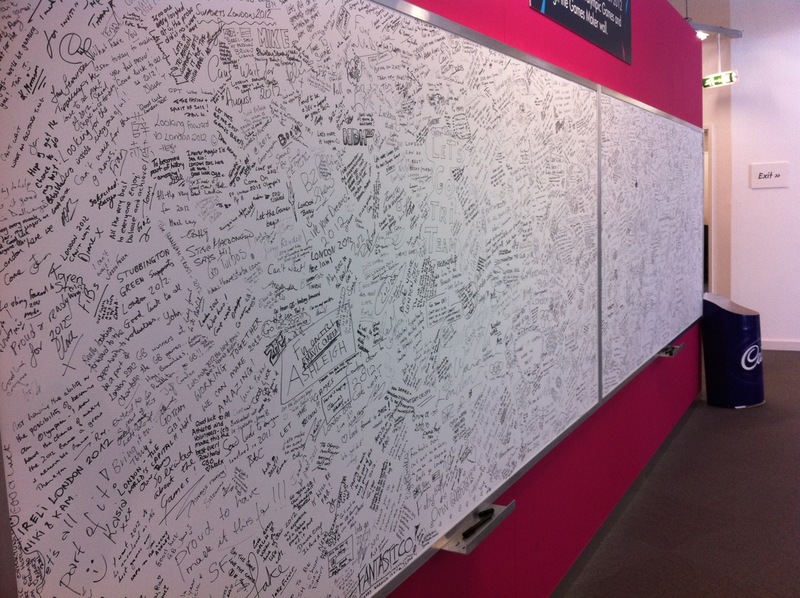 Image: A white board filled with messages from attendees who had completed their interview. Click this image for full size and you can read many of the messages on the closest white board. Today is "Email: Say It In The Subject!" Day! This is where the emails you write to your friends and colleagues have all the vital information contained in the subject of the message rather than in the body. The aim of today's experiment is to see if, when you receive such emails, it becomes easy for you to scan the subject list and quickly receive all the essential info you need, without opening the messages. • Need that R&D Q4 review report by 11am for meeting with Chris. Ready by 10? • Happy to meet about XYZ proposal. Thursday at 2pm free for me. You? • IT Clinic - get your Tesco laptop super healthy - see us Thu 31st March in Atrium! Join the Tesco.com R&D team to see if we can prove we can make emails quick to read (and quick to write) by taking part in the experiment today! Come back to this blog after the weekend to answer a couple of questions to see if it worked for you, and what benefits - and concerns - you experienced. This blog is committed to doing its bit to help the Tesco Charity of the Year 2011 - Alzheimer's Society and Alzheimer's Scotland - and I need your help! On Friday 27th and Saturday 28th May is the first nationwide Tesco charity event taking place with help from the local community, called the BIG Collection. On these two days, we would love for 10,000 volunteers to come together to collect at Tesco stores throughout the country. All the money raised during the BIG Collection will fund essential research and bring dementia information, advice and support to communities all over the UK, helping to build a better future for people with dementia. Become a BIG Collection volunteer at your local Tesco (whether you are a Tesco employee or just willing to help us!) committing to shaking a bucket for up to 3 hours - click here for more info and to register your name. Come and visit a Tesco store on one (or both) dates and pop some cash into one of the BIG Collection buckets being carried by volunteers. Please help us raise money for this most important cause, whether it's slipping some coins into our bucket, or holding that bucket. "Let him who has been blessed, give blessing." I would just like to thank Professor John Naughton and his team for giving me the opportunity to speak last night as part of the Arcadia lecture series at Wolfsen College, Cambridge University. I enjoyed the most interesting of conversations with some of the students at the college, many studying post-graduate courses there. Topics included animal and human psychology, "big data and big brother", and the challenges around an internet that never forgets the content posted upon its many social media sites. The evening included 'Formal Meal' which required jacket and tie, and (where applicable) gowns for dinner. I enjoyed the fomalised traditions around the event, from the sounding of a gong to the saying of grace in latin - Benedictus benedicat - spoken by the most senior fellow in the dining room. It was great meeting a selection of people who read this blog (thank you! ), and I thank Professor Naughton for his most excellent hospitality and for enabling me to stay overnight at the college. A reminder that if you are a student at Cambridge University I am giving a lecture on Tesco's customer-focussed mobile journey (those Hunters, Gatherers and Groundhogs!) at the seminar room of Wolfson College starting at 6pm tonight. The lecture forms part of Cambridge University Library's Arcadia Programme - for more information follow this link. I look forward to seeing you there. The "can and hand" logo is one that stretches back to the dawn of Tesco grocery home shopping, with its origins as a special windows icon that appeared in our very first grocery home shopping application, Tesco Home Shopper, in 1996. The 'can and hand' symbology is close to my heart as it was me who created and developed the application back in 1996 (there was only one person in the IT development team...hello!). The application was built for Windows 3.1 and Windows 95 customers using Visual Basic 3.0. An application was needed rather than a web site because everyone was on 9.6Kbps or 14.4Kbps dial-up modems back then. 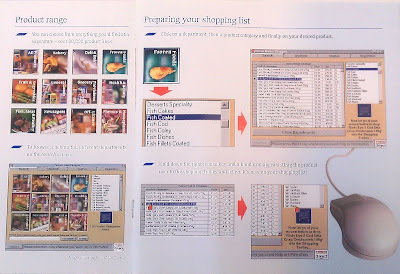 So the catalogue of products was local, and you only needed to go online to upload your order - and even that uses an internet protocol that I entirely made up called THSTALK (Tesco Home Shopper Talk'). On the Windows NT4.0 server (yes, a single server) I wrote a server application called THSSERVER also in Visual Basic 3.0 which listened on internet port 81 and responded to THSTALK instructions. THSSERVER could cope with up to 10 simultaneous connections as a time. 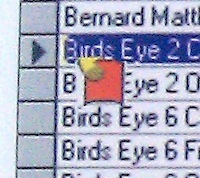 The CD-ROM application was only retired in 2003. With that event, the 'can and hand' slept until 2011 and this blog - restoring it brings back great memories. 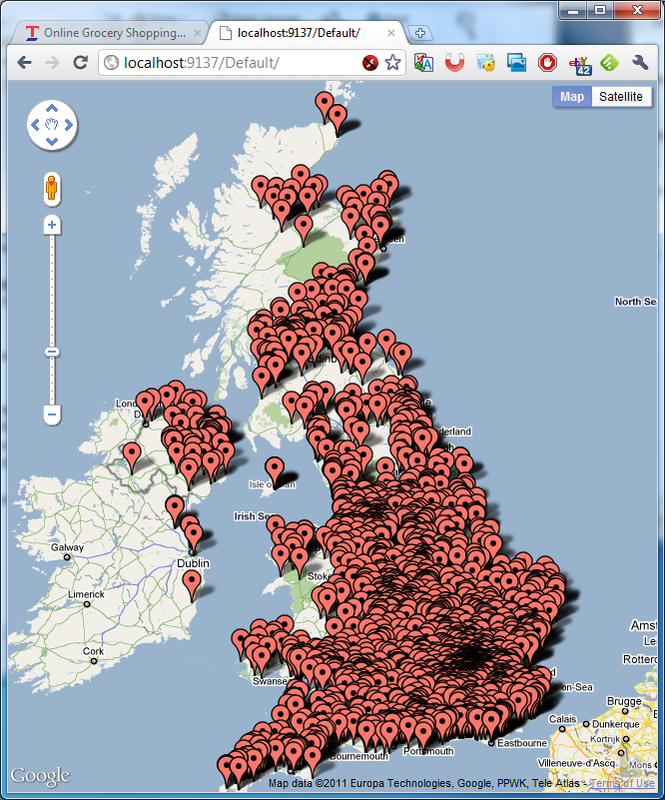 If you've read the post showing the 'heat map' of our Tesco.com grocery delivery vans across the UK, you'll come away with a great feeling that we know where all our vans are. Which is true. The trouble is, the truth can sometimes hurt - in this case there's something we uncovered in getting the material for that blog post that we decided not to show you on Monday until we investigated more. You see, when we zoomed out the map to get a nice view of the UK to take the snapshot for that blog post, we accidentally zoomed the map out too far. We could see all of Europe with a UK 'blackened' with van positioning icons, as expected. What was somewhat less expected was that two positioning icons were not in the UK. They were in Poland. So we conducted an emergency data investigation to ensure that we hadn't received corrupted information, or miscalculated anything. Everything came back as OK - indeed one of the vans was following a road in Poland from the live feed. Someone was driving a Tesco.com grocery delivery van in Poland live as we watched! Two Tesco.com delivery vans signalling live on 31st March 2011 from near Starogard, Poland. Fortunately, the van team were able to look up the registration plates on the two vans and quickly found that the vans had been retired from service. The vans had also completed decommissioning (primarily, removing our tech equipment and Tesco livery) but for some reason, the hidden signalling box had been missed. This equipment is wired such that it signals 24 hours a day, not just when the ignition or engine is on. As a result, it has to be located deep down within the vehicle's wiring system - it's not a "box on the dashboard". After 5-6 years, our vans are retired from Tesco.com duties and sold on to the second-hand market and are given a new life elsewhere beyond the control of Tesco - in this case, it seems, the Polish market. It would be great to know the sort of uses these vehicles (with built in fridge and freezer compartments) are put to. I guess they end their days still delivering food or similar temperature-controlled goods. There is an interesting question to be asked about the ability of the equipment (or more accurately the cellular data accounts) to roam onto foreign networks with an inevitable roaming charges. Fortunately (for us) this cost is borne by our partner who operates the van location service. They are used to many clients requiring tracking of commercial vehicles into Europe and beyond. The van team were able to get in touch with the new owners, who were able to remove the equipment which is on its way back to the UK. They were able to block the SIM card quickly, too. Still, it underlines the message that we really do know where all our delivery vans are! 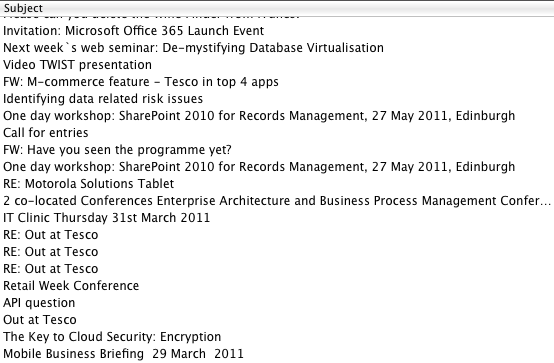 Mike Brearley is Lead IT Developer at Tesco.com's Central Delivery Service team. Authoring this article, Mike reveals how tracking our delivery vans is adding value to the service we provide customers. Currently we have thousands of Tesco delivery vans delivering to our customers across the UK and Ireland. Each van is fitted out with GPS tracking so we can see their location on an almost real-time basis. Using this information we’re able to better plan journey times calculate how many deliveries we can fit into a slot, and ultimately be better at being on time. Sometimes unavoidable things happen, traffic, mechanical breakdown and all number of emergencies can all delay a delivery but using this information we can let our customers know in advance to give them a heads up about what’s going on. Reassurance that the order is definitely on the way and exactly where the van is can really help in those situations. As a taster of what this data looks like I’ve plugged a snapshot of these points into Google maps. A picture definitely gives a better idea than words in this case! 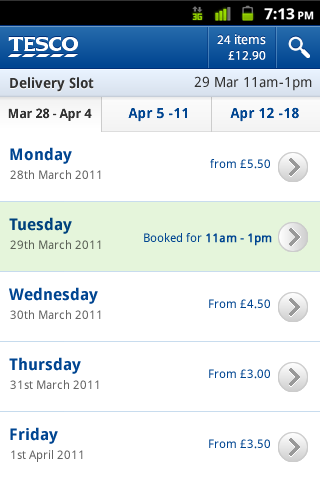 These screenshots were taken at 10.32am on 31st March 2011 - click the images below for a larger view of where all our delivery vans were located at this precise time. Congratulations to my colleagues in the branch team for the new Tesco Express opening today on the International Space Station. It took some doing but the team tell me they wanted to provide great food to the astronauts - somewhat better than the gooey tube food they have had to 'enjoy' until now. I think it will be great for astronauts to arrive at the I.S.S. after their dramatic journey into space, and pop in for a Tesco Ready Meal, and perhaps a bottle of Tesco Value Champagne to celebrate their stay (and get Clubcard points too). So now, wherever you are in the world, your nearest Tesco may be above you!